Kitchen faucets are the ones we use the most, unlike faucets in your bathroom or anywhere else in your home. You use your kitchen faucet while washing utensils, hand wash, while cooking, and for numerous other works, you turn on and off the kitchen faucet innumerable times a day. It means the faucet must be of a good quality that can easily withstand everyday use. 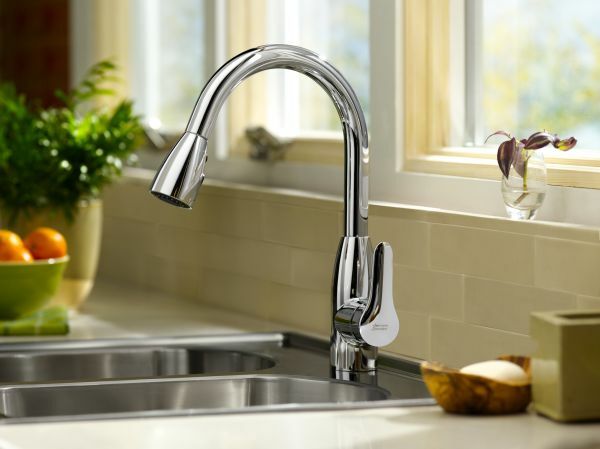 Besides usage, some other factors influence your choice of kitchen faucets. The choice largely depends upon the look of a faucet, as there is a wide assortment of designs available in the market. There are vintage faucets, copper or bronze, that suit your traditional kitchen, and modern sleek contemporary designs, chrome and stainless steel faucets that go well with your modern kitchen. Yet another very important aspect to consider before buying a kitchen faucet is the hole pattern. The choice of faucet depends upon the type of sink, the number of holes it has. 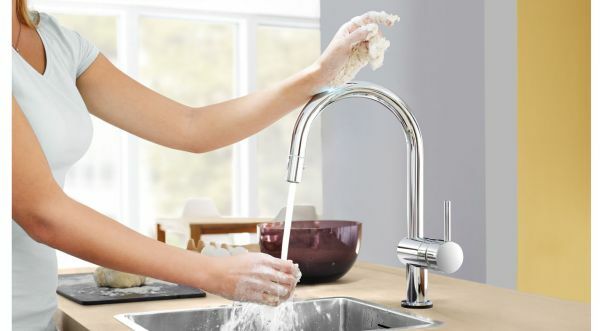 One hole sinks are for the faucets that have a single control system, a three-hole sink houses a single control faucet with a sprayer or accessories. Similarly, a four-hole sink is for a faucet that has a single control and various accessories. You need to drill holes on the countertop if you go for an under-mount sink. This faucet is for the big kitchens wherein you wash big utensils. 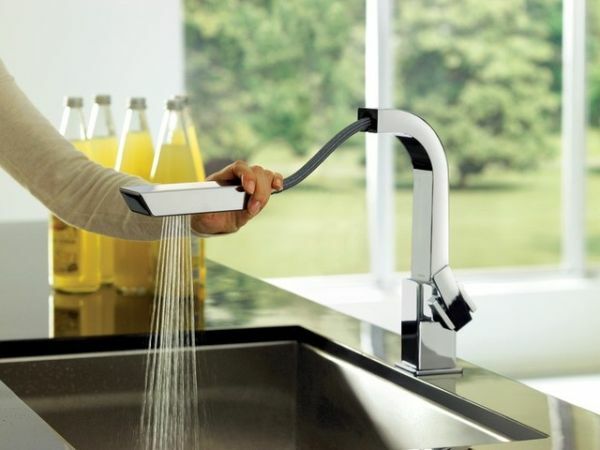 High-arc faucets give you more working space. Make sure that you only go for this type of faucet if you have a deep sink, shallow sinks will cause splash. Pullout faucet is a spray head, which you can pull out and the pull-down faucet is a spray head that you can take to the bottom of the sink. They give you an easy access to all the areas of your sink, thus, helping you to keep it clean. One handle is for the cold water and the other is for hot, though this faucet is not that popular. 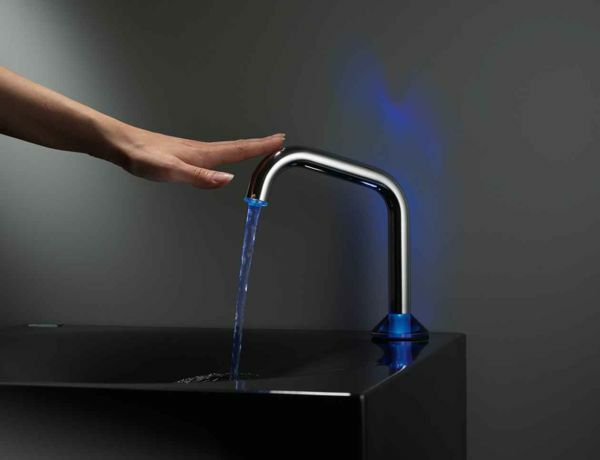 A touch of your hand turns on and off these faucets. They are ideal for kitchens, as you can easily use them even when your hands have dough all over. These faucets do not require any space on the countertop, as they hang on a wall. Kitchen faucets have to be the ones that are easy to use and are strong enough to bear the burden of everyday use. Moreover, a kitchen faucet should be strictly in accordance with the sink type, otherwise it could cause splashing.